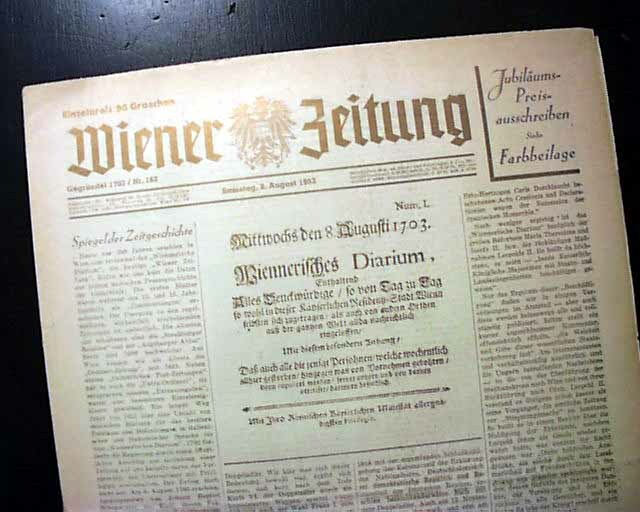 WIENER ZEITUNG, Germany, August 8, 1953 This is the 250th anniversary of this newspapers and to celebrate the entire front page is printed in gold ink. 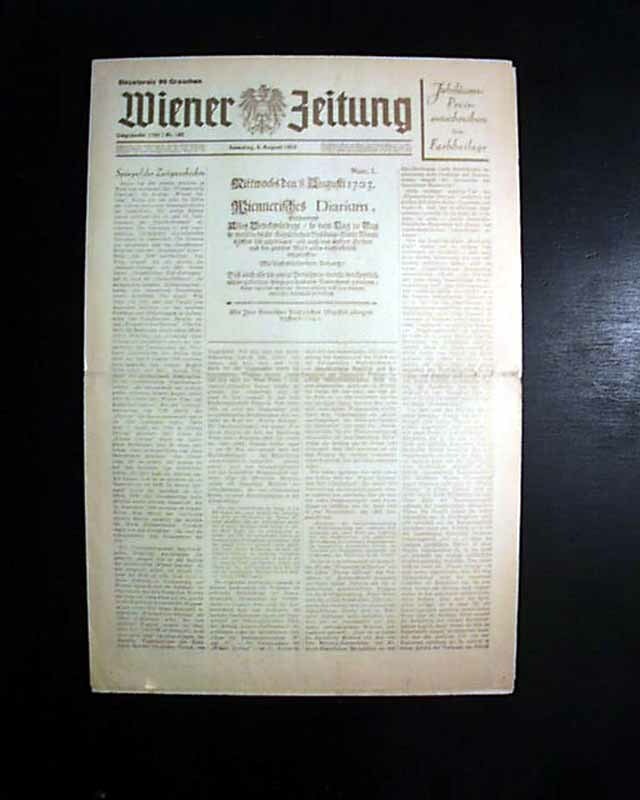 The front page also has a print of the first issue printed in 1703. Inside has two pages in color. Twenty pages, very nice, clean condition.